It’s a problem many are familiar with. There’s a huge amount of content available on TV; so much so that many struggles to find something to watch. Consumers are spoilt for choice and it’s made more difficult by the fact that it’s hard to seek out shows they might like among the many unsuitable ones. People in this situation aren’t alone. The average viewer spends almost an hour every day trying to find something to watch. But there’s a way that Artificial Intelligence (AI) can help with content discovery, and it’s a function that’s already available on Samsung TVs. 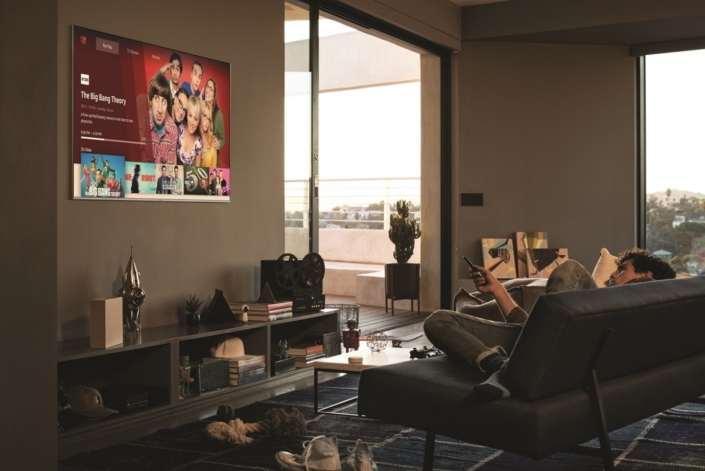 Samsung Electronics has introduced Universal Guide to its 2018 smart TVs as a way of helping users find content that fits their tastes. The clever AI deployed as part of the functionality can make suggestions of shows the viewer might like. Universal Guide is an advanced program guide unlike any that came before. It learns a user’s preferences by watching for patterns over the space of a few weeks. It then uses the last two weeks of data to suggest suitable content on the smart TV including live channels. Although similar services have been available before, this is the first to use the power of AI to make intelligent content recommendations. There are five tabs on the Universal Guide: For You, TV Shows, Movies, Sports, and Music. For You is the service that automatically recommends shows it thinks the user will like based on machine learning analysis of previous viewing habits. On the TV Shows, Movie, Sports, and Music tabs, the Universal Guide offers the latest trending content including Over the Top (OTT) content separate from the personalized recommendations on the For You tab. The profile of the average TV viewer is changing. It’s impossible to ignore the effect of Over the Top (OTT) streaming services such as Netflix and Amazon Prime Video. It has given rise to a generation of cord cutters – people who have severed ties with traditional cable suppliers. As a result, they have opened up new levels of flexibility where they can watch TV as and when they want. They can even binge-watch their favorite shows. Responding to this trend, TV, which remains the most treasured watching platform, has been increasing its services. Samsung smart TVs provide video services from the likes of YouTube and Netflix and music services from Spotify. Additionally, thanks to the TV PLUS feature on Samsung smart TVs, viewers can watch video on demand without installing any extra apps. Everything is seamless and integrated. The AI-powered Universal Guide makes searching through this large amount of content intuitive. What makes Universal Guide different from other content recommendation algorithms? It reflects the latest trends, in addition to the user’s past viewing patterns. Universal Guide makes it easy to find the latest trending content no matter where the user is. 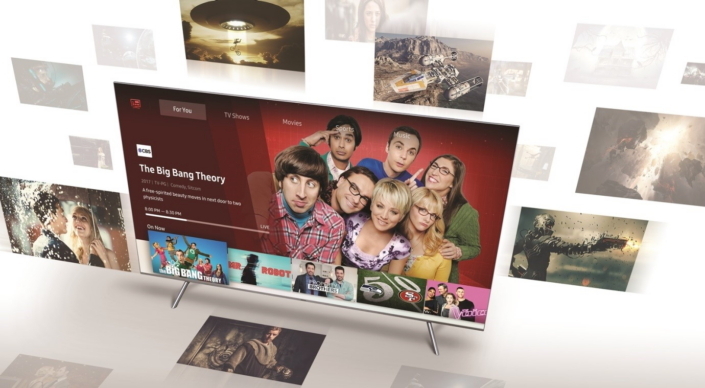 After purchasing a Samsung smart TV, the user can input a regional code, which enables the TV to recommend the latest popular content based on the user’s location information. Combining viewer’s history and trending content in the area, Samsung 2018 smart TVs can recommend shows that would likely appeal to the user’s taste, anywhere in the world. This is an experience that will only get better. Universal Guide already uses AI to grant access to content intuitively without a complex procedure. In the second half of this year, Samsung Electronics will further advance a content recommendation algorithm that will use AI to pick out not only real-time broadcast content but also OTT content. After that, the algorithm will evolve to be able to cater to individual user needs, instead of recognizing the viewing patterns of the whole family. In addition, Samsung plans to give the most optimal experience that a TV platform can bring by making the content viewable on mobile. The company also plans to add eSports and home shopping tabs to its smart TVs. 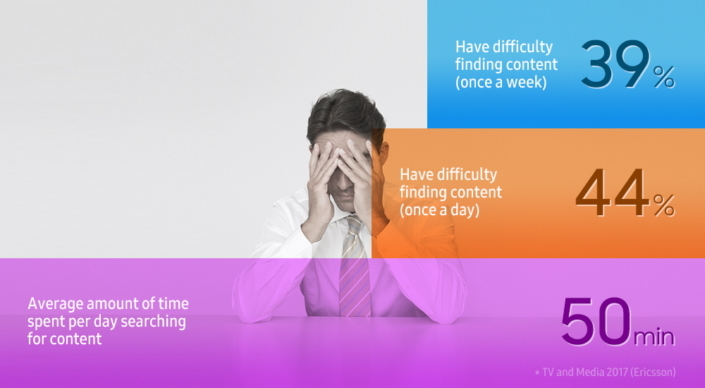 The needs of the content market and consumers are continuously changing. Universal Guide, with the power of AI, is changing things further still. But the mark of success will always be ease of use and an optimized viewing experience.